Boil water in a medium sized saucepan. Cook soba noodles in boiling water according to package directions until slightly underdone. Strain and run cold water over noodles to stop cooking process. In the same saucepan, boil 4 cups of water. 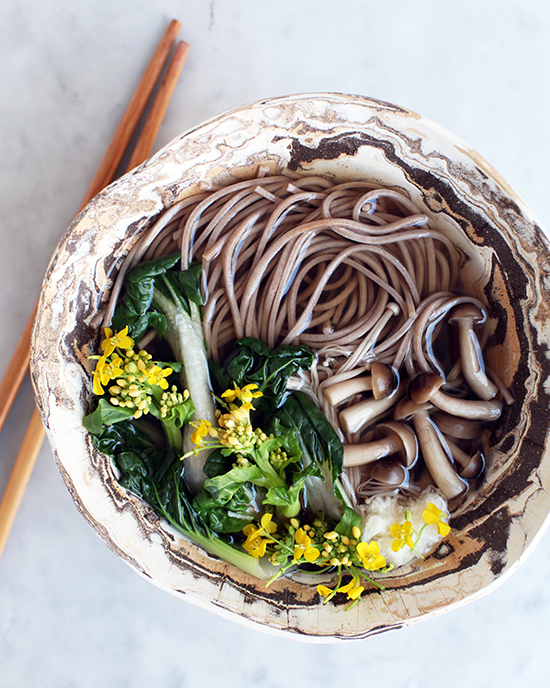 Add dashi stock powder, loose tea inside a mesh tea ball, mushrooms, and bok choy leaves. Reduce heat to a simmer, and allow to cook for 4-5 minutes until the bok choy and mushrooms are tender. Remove the tea after 4 minutes so the flavor of the broth stays balanced. Meanwhile, peel the skin of the mountain yam and grate it into a small bowl. Taste the broth and add salt if needed. Plate the soup by first portioning out the cooked soba noodles. Then ladle the hot broth, mushrooms, and bok choy over the noodles. 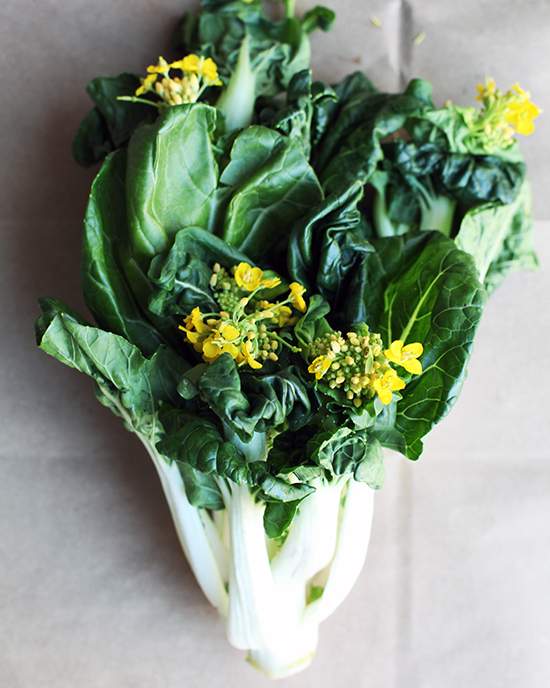 Garnish the soup with the grated mountain yam and bok choy flowers.